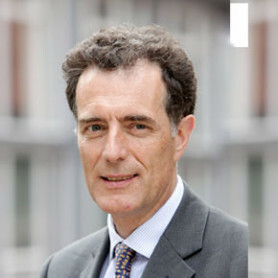 Francis Dingwall is a solicitor and partner in Legal Risk LLP. He advises a range of law firms on compliance issues: recent issues include referral arrangements, CFAs and Damages Based Agreements post the Jackson reforms, establishing Alternative Business Structures, client engagement, COLP’s duties, client account issues, conflicts, and SRA investigations. He has been conducting compliance reviews for firms, and giving them the tools (including compliance manuals and associated materials) to ensure compliance with OFR. He also advises firms and their insurers on professional liability issues, handling the defence of claims and policy coverage issues, including successor practice issues. He has been recommended as a leading practitioner by Chambers UK for the last 4 years. Francis Dingwall is co-author of The Compliance Calendar Toolkit for Law Firms. Francis is ranked for Professional Discipline in Chambers UK 2019 and is a recognised practitioner for Professional Negligence. He is also a recommended lawyer in Legal 500 2018 for Professional Discipline and Professional Negligence.